In this essay, concepts involving nuclear fusion have been introduced. 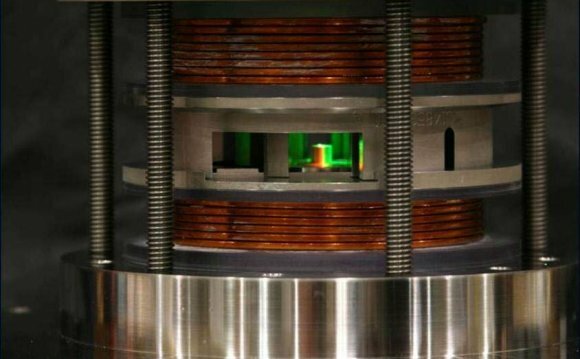 After that, the main challenges and experiments related to nuclear fusion reactors have been discussed, focusing on the Magnetic Confinement Reactor – Tokamak. Nuclear reactions are chemical phenomena in which nuclei may either combine or break into two or more products. In fusion we have nuclei combining into bigger ones, while in fission there is the opposite. What will indicates which reaction the nucleus will prefer is mainly its energy and mass: atoms tend to have the lowest possible energy and, for some mass numbers, we have even lower quantities of energy (Fig. 1). In addition, it is most observed fusion in lighter nuclei and fission in heavy ones (also, fusion is often used to make new elements, but they are very unstable and lasts for milliseconds or even less time). Fission may happens spontaneously in our planet, but fusion occurs naturally only in stars and its main reaction is hydrogen forming helium [1, 2]. 1H, the most stable and abundant; 2H, called deuterium (D) and 3H, tritium (T). As mentioned before, inside stars, like the Sun, there is free protons (which can be considered hydrogen cations - H+), which react, producing helium. The mechanism, known as proton cycle, is explained in Eqs. 1, 2 and 3. In the first step, two protons form a deuterium nucleus. It is important to observe that one of the protons turn into a neutron, otherwise the product would not be deuterium (in fact, a nucleus with only two protons does not exist). After that, a third proton reacts with the previous product and forms the isotope 3He. Then, two nuclei of 3He connect, producing both 4He and two protons (which will continue the reactions) . Deuteron cycle still needs high temperatures to happen and this is the main reason why there is no power plants working by nuclear fusion (the amount of energy released is much higher than the uranium fission). The reactional mixture (deuterium in the gaseous state) need to be heated until ~108 K, transforming in what is called plasma: a state of matter in which particles are charged and have high kinetic energy. Due to the temperature needed, the reactor used must be safe and thermally stable, otherwise it would not keep the reaction, offering risk of explosion and danger [1, 2]. Several techniques are been developing in order to make this reaction possible for energy source. Some of them try to contour the temperature question while others are about cold nuclear fusion. An example about how fusion may happen in lower temperatures is the reaction catalysed by negative muons, particles very similar to electrons but with mass about 200 times higher. They are added to the mixture of D and T, replace the electrons in the molecules and catalyse the fusion in low temperatures. This experiment was run in CERN several times, with different parameters, in order to find a high efficiency. Until now, the energy cost does not make it worth while [4, 5].